Like Superman, A Use and Occupancy Agreement Can Save the Day, But Be Aware of the Risks! Tom and Mary Ryan, and their two little kids, Abigail and Jake, are relocating from California to the Boston area so Tom can take a job with a local tech company in Burlington. They have already sold their California home, and have been living in a cramped rented condominium in Santa Monica for two months already. Their loan has hit some snags because Tom was out of work for half of 2013, and had some IRS issues, although he is on solid footing now with his new job. The closing is scheduled for the end of this week and they have their cross country movers booked and scheduled and their life is now packed in boxes. Just when they finish packing their last box, their loan officer calls with somber news. “Tom, unfortunately, our underwriting department is dealing with delays getting your tax transcripts from the IRS. We are going to have to push back the closing for about a week. I’m so sorry.” Canceling the movers will cost several thousand dollars, and they will have to cancel furniture shipments as well. To make matters worse, new tenants are supposed to move into Tom’s rented condo unit right after they leave. While all characters appearing in this work are fictitious, and any resemblance to real persons, living or dead, is purely coincidental, Tom and Mary are in trouble. With the prevalence of back-to-back closings and unforeseen underwriting issues and title defects, these situations are not uncommon. And with new TRID closing disclosure rules coming online in August, which are bound to cause even more loan approval delays, we may be seeing more of these situations in the months to come. Fortunately, there is a solution to this situation. The sellers are willing to let the Tom, Mary and family move into the home prior to the closing under a Use and Occupancy Agreement. This will enable the buyers to complete their move, move into the house, but before the actual closing. A use and occupancy agreement, however, is not without its risks and downside, which I will discuss below. One of the most important aspects of a Use and Occupancy Agreement is what it is versus what it is not. The agreement should specify that it creates a mere license to occupy the premises, not a tenancy or a landlord-tenant relationship. This will make it easier to remove/evict the occupants if something goes wrong. In any event, if the sellers are forced to remove the occupants, they will still have to resort to judicial eviction proceedings, which in Massachusetts can potentially take several months. This alone is the biggest drawback of a Use and Occupancy Agreement. The seller should always put language in the agreement that the buyers will be responsible for all attorneys’ fees and costs in case of an eviction. The parties have to agree on a rental rate, typically based on the fair market rent for the premises or the mortgage and carrying costs. Websites such as www.rentometer.com can give you an idea of what a fair rental rate should be. Your Realtor should give you guidance as well. The rent should be divided by 30 for a per diem basis. You can also charge penalty rent if the term is extended past the original deadline. Lastly, the buyers should do their pre-closing walk through before they move in under a Use and Occupancy, because once they move in, the home will be a mess for awhile. That way, everyone will be on the same page as far as the property condition goes on the date of move in. Many attorneys advise clients never to agree to Use and Occupancy Agreements. I am not one of those attorneys. With any risk, it depends on the situation. The sellers need to be comfortable that any delays will be resolved favorably and quickly. Sellers also need to appreciate that despite any language in the agreement, it could take months to remove an occupant if things so south. As long as everyone understands the risks, a Use and Occupancy Agreement can be a life saver. 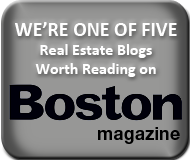 What Does A Massachusetts Real Estate Closing Attorney Do Exactly? Previous post: Spring Realtor “Blow-Out” Event On April 30th at Beauty Parlr!